Honey. Sit down. Let me get you a glass of water. We need to talk. While I appreciate your enthusiasm, let’s set the record straight: Sam Cooke. Otis Redding. James Brown. The Shirelles. The Ronettes. They are NOT Motown acts. Never were. And while Aretha Franklin is FROM Motown, aka Detroit, she was never ON Motown records. Referring to every black artist who recorded soul music in the 60s as a “Motown” singer is lazy, insulting and possibly a teensy bit racist. Kapeesh? With that said, perhaps I should cut people some slack. I know, we are all very busy and don’t pay a whole lot of attention to minutiae. And besides, sometimes the record labels themselves are a little guilty of causing confusion. 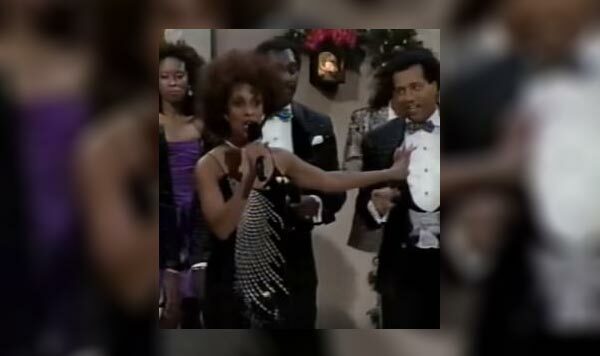 Case in point: The 1987 Motown Merry Christmas special. First, a little context: In 1984 the Motown 25 TV special was a blockbuster rating success, with all the former stars of the record label coming home to celebrate Motown’s 25th Anniversary and kiss the ring of founder Berry Gordy. Stevie Wonder, Marvin Gaye, The 4 Tops, The Temptations, Martha Reeves, Mary Wells, and many others made appearances. Lionel Richie reunited with the Commodores! Smokey Robinson reunited with the Miracles! Diana Ross reunited with the Supremes for a minute and half before Miss Ross allegedly pushed Mary Wilson out of her way! That last part was edited out of the broadcast…. but anyway… the real highlight of the show was the reunited Jackson 5, followed by Michael Jackson’s performance of Billie Jean, which introduced the moonwalk to the world and we were never the same again. Fast forward three years – the Motown brand was still being milked for all it was worth, even if their current roster of artists were not exactly burning up the charts. I mean, even DeBarge had left the label by this point. 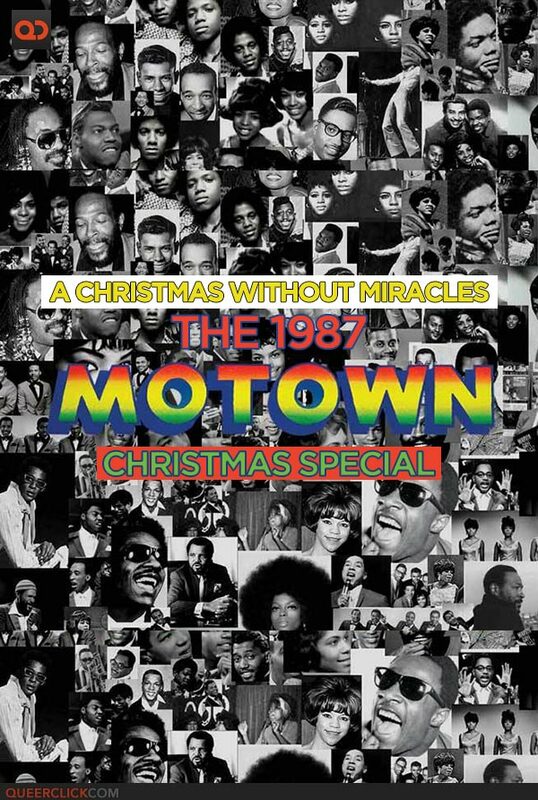 But a nostalgic look back at Motown with a Christmas special seemed like a good idea, as most of the top Motown acts had released holiday LPs during the label’s heyday. 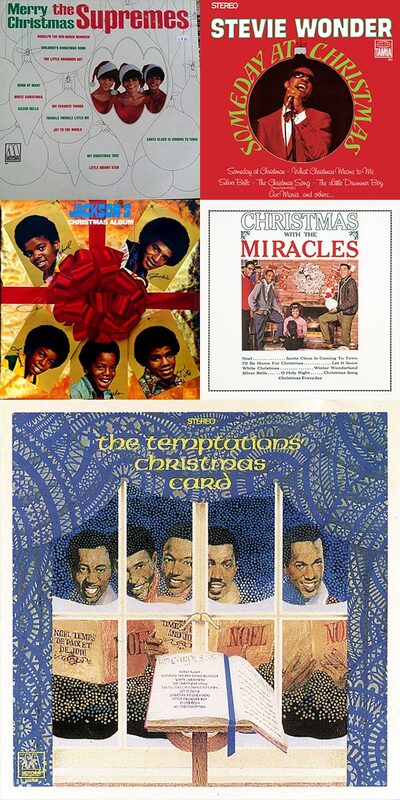 In fact, The Temptations and Smokey Robinson & Miracles each released two Christmas LPs on the label. But… you do have to get the acts to come back and perform for a TV special, right? or whatever reason (read: money) only the Temptations and Smokey Robinson are on hand for this star-studded Motown Christmas Spectacular, which was taped not in Detroit, but at the Aquarius Theatre in Hollywood, California. 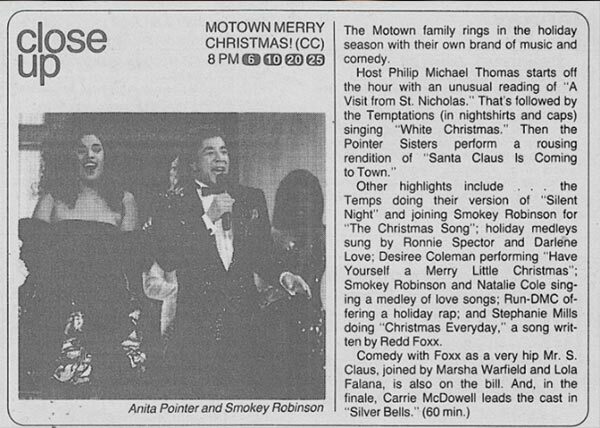 For whatever reason (read: money) only the Temptations and Smokey Robinson are on hand for this star-studded Motown Christmas Spectacular, which was taped not in Detroit, but at the Aquarius Theatre in Hollywood, California. The show aired December 14, 1987, on NBC, hosted by Philip Michael Thomas, the guy who wasn’t Don Johnson on the hit NBC-TV show Miami Vice. An interesting spot of trivia: Philip Michael Thomas, notorious for his over-inflated ego, is credited with coining the acronym EGOT for Emmy, Grammy, Oscar, and Tony wins, as he often crowed to interviewers that he would win one of each. As of 2018, he has never been nominated for any of them. 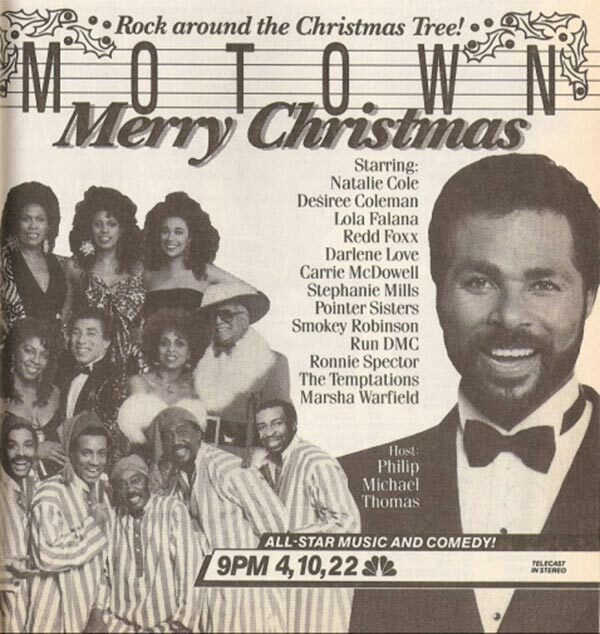 The show opens with our humble host reading a version of Twas The Night Before Christmas that name-checks some Motown artists, including Stevie Wonder, who is not there. This segues into a performance by the 1987 version of The Temptations (which means no Eddie Kendricks or David Ruffin). They are wearing nightshirts and slippers as they perform a doo-wop version of White Christmas. Although the group had recorded the song as a ballad on their 1970 Christmas album, that version is scrapped in favor of the Drifters uptempo arrangement, originally released on Atlantic records in 1954. In any case, it’s a fun showcase for the deep bass voice of original member Melvin Franklin. Next, The Pointer Sisters sing Santa Claus Is Coming To Town, a track from the very first A Very Special Christmas album, which had just been released and is now considered a classic. 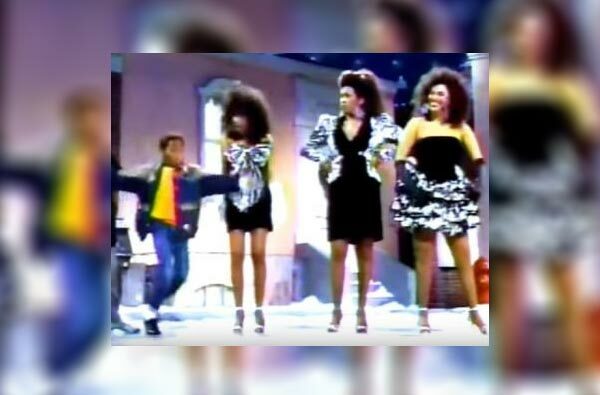 Their performance is spirited, but once again a reminder: The Pointer Sisters have nothing to do with Motown, although a kid imitating Michael Jackson does makes an appearance. 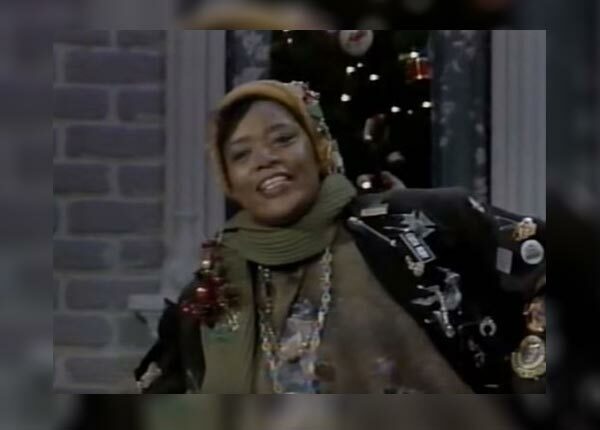 For the comedy portion of the program, Redd Foxx arrives onstage dressed as a pimped-out Santa Claus along with Marsha Warfield of NBC’s Night Court and Lola Falana of many a Las Vegas lounge. Redd performs a rap and the result is exactly what you would imagine a Redd Foxx rap might sound like. Then things get serious as they read a fake letter from an imaginary homeless child and Santa Foxx promises to find him on Christmas. So I guess the kid will have to fend for his imaginary self until then. Ronnie Spector and Darlene Love deliver a medley of songs from the Phil Spector Christmas album, which, of course, was not a Motown production. Darlene sings a generous portion of Christmas (Baby Please Come Home). Just the previous Christmas, she had performed the song on David Letterman’s show for the first time, launching a tradition that would continue for the next 28 years. I forgot to mention: as this is the 1980’s, there is a large gaggle of dancers present throughout the entire show. During this segment they are dressed primarily in gold mylar, gyrating around Ronnie and Darlene as they heard from one end of the stage to the other. One of the more prominent dancers is Michael Perea, a staple of 80’s music videos for many artists including Michael Jackson, Cher and especially Madonna, having appeared in her videos as well as on the Virgin Tour and Live Aid performance. In the mid-’80s, I wanted to BE Perea, shaking his tambourine to Dress You Up and Dancing On The Ceiling with Lionel Richie. I was sorry to learn recently that he died of AIDS complications in 1989. Next up – another medley: Desiree Coleman, one of two artists appearing here (besides Smokey) that was actually signed to the Motown label at the time. Desiree sings Have Yourself A Merry Little Christmas. She is decked out in a tacky 80’s outfit full of sequins and linebacker shoulder pads. I mean… all the costumes in this show are hideously dated but this one is at the top of the very flammable acrylic heap. Philip Michael Thomas is onstage with her but thankfully does not sing. Apropos of nothing, Desiree hits a Mariah Carey dog-whistle note at the end of her segment and Thomas leads her away. I’m not a fan. 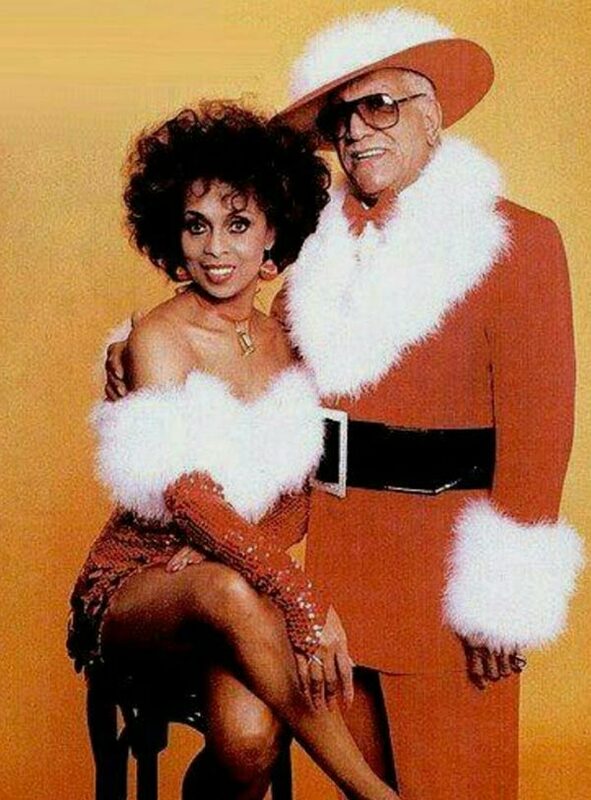 I remembered This Christmas as a highlight of the program, thinking that Smokey and Natalie had some real chemistry. Re-watching it now, I see that it’s all Natalie’s doing. SHE has chemistry. All we see is the back of Smokey’s head as she sings her way towards him. Together they segue into Give A Little Love On Christmas Day, and it sure does seem like someone’s gonna get a little love before Christmas day even gets here. Oh – Philip Michael Thomas and Desiree Coleman are still onstage too. Thankfully, Philip Michael Thomas still does not sing. The Temptations are back with a very nice version of Silent Night, featuring the tight soulful harmonies that are their trademark. 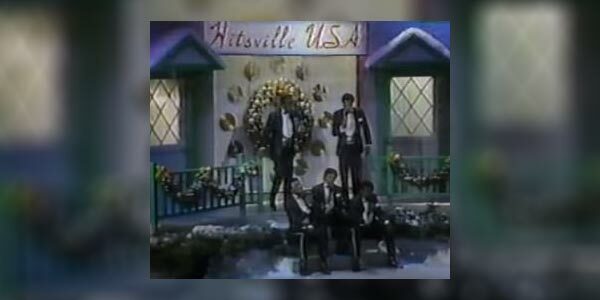 They end their performance with a declaration: “Merry Christmas from the Motown Family…” as if they are here to represent the rest of the “family” who had to go visit the in-laws and just couldn’t make it this year. After some more Redd Foxx shenanigans, Run DMC performs Christmas In Hollis, which was also on the A Very Special Christmas LP. For those who don’t know, Hollis is in Queens, New York, which is about as far from Detroit, Michigan as the Aquarius Theatre in Hollywood, California. 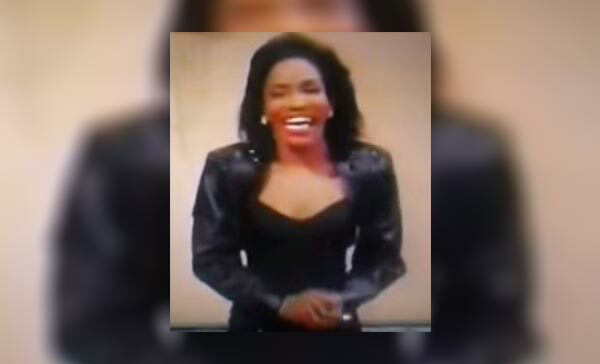 Stephanie Mills sings the R&B ballad When You Love Someone (It’s Christmas Every Day), a song that they twice mention was written by our very own Redd Foxx. What they don’t mention is that the song was recorded by former Motown artists Gladys Knight and The Pips, who are not here. It’s ironic that Mills appears on a Motown special for a couple of reasons: Not only was she never a Motown artist, but her greatest success was playing 13 year old Dorothy in The Wiz on Broadway, but when Motown produced the movie adaption, 34 year old Diana Ross was given the role. Smokey and the Temptations are back again to sing The Christmas Song (Chestnuts Roasting On An Open Fire). This is fine. But where are the Miracles? Where are the 4 Tops? Gimme some Pips! My kingdom for a Marvelette! Marsha Warfield reappears dressed as a glittery bag lady as we head into the closing 8+ minute medley. Carrie McDowell is introduced. 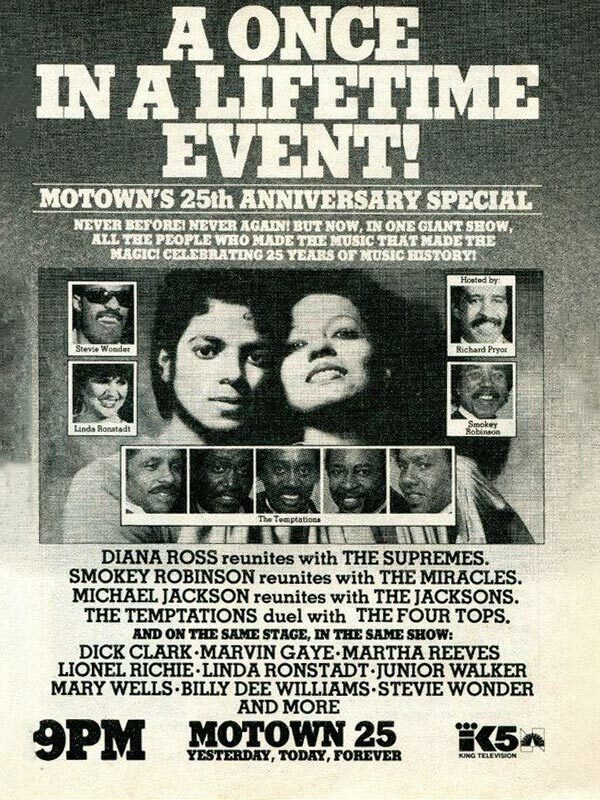 She is the only caucasian on the bill and the only other artist besides Desiree and Smokey signed to Motown at the time. That said, she was dropped shortly after her debut LP tanked that same year. McDowell has the featured spot here… and this girl can SANG, that’s for sure, but…. 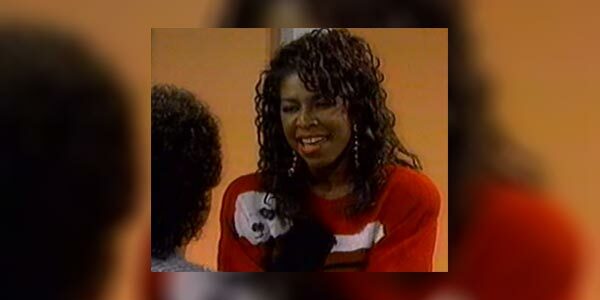 this also means that all the other great singers behind her: Natalie Cole, Darlene Love, Pointer Sisters, etc. are given much shorter solos – some are reduced to a single line of a song. Poor Ronnie Spector has one duet line with Stephanie Mills. Lola Falana has a very brief solo with some very odd stilted physical movements, which I always attributed to the severe multiple sclerosis flareup that plagued her at the time. But upon repeated viewing, she moves quite naturally when she steps back in line with the others. So I don’t know what that was about. The cast sings approximately 15 seconds of every holiday song ever written. 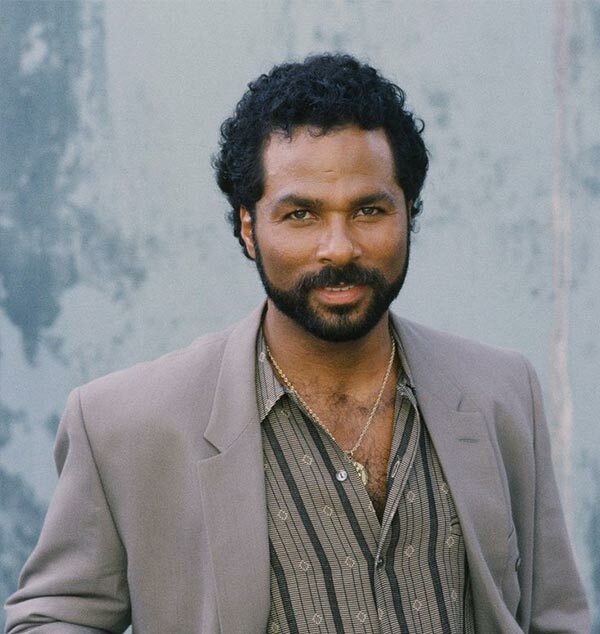 Phillip Michael Thomas is singing now but nobody gives him a mic. And then we’re done. Credits roll. Merry Christmas to all and to all a good night. In 2000, Diana Ross attempted to launch a Supremes reunion – the first time they would have performed together since the Motown 25 special. Unfortunately, very little money was offered to Mary Wilson and Cindy Birdsong and both declined to participate. In their place were installed Lynda Lawrence and Scherrie Payne (Freda’s sister), both members of the Supremes in the 1970’s – years after Ross had left. Fans didn’t buy it and the tour fizzled out quickly. As with this program, it was just another example of the Motown name being slapped on something and fans were expected to eat it up. Of course, if we are talking about drunk people at a party, maybe they do fall for it. But some of us are bound to stand up and say… Honey, no. We need to talk. The Best Gay Memes Of 2018People React To Tumblr Banning Adult Content And They’re Going Berzerk!